The Practice Crits are Coming Back! Stay tuned for the updated flyer and course info. See you all soon! Week 4's course is going to be the same as week 1's. Numbers on the left! Get your one-day license ahead of time! Important: we've had so many new racers come out that we're running low on one-day license forms. If you don't have an annual license and you want to be sure to be able to race, buy your one-day license ahead of time and bring the receipt tomorrow. 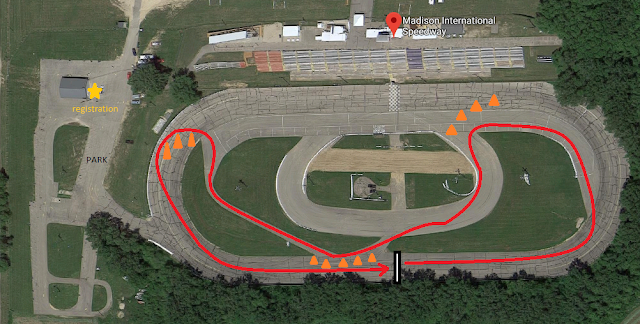 Just search for "Madison Practice Crits" in the USAC event finder and select 6/20 for the one-day license date. We love seeing new riders, so please keep coming out! Which course would you like to race next week? We have one more practice crit scheduled for 6/20. Which course do you want to race? Fill out the survey here! There was a little rain earlier in the day, but it's shaping up to be a beautiful evening. 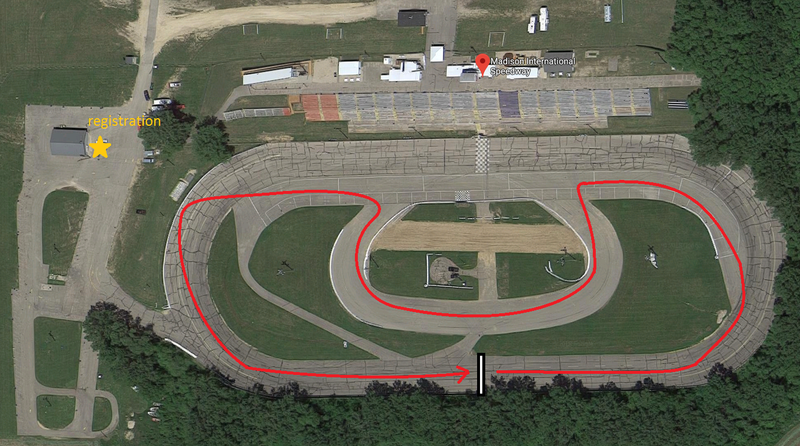 See you all down at Madison International Speedway! 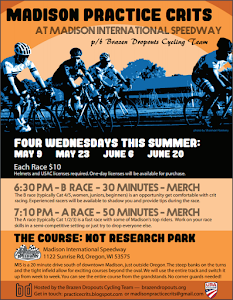 We're back tomorrow for edition number three of the practice crits. The weather looks to be warm and overcast, but we're not supposed to get any rain. It's somewhat similar to week 1, but there's a bit of almost two-way traffic as riders have to cut across the infield and use the access lane to get to the climb on the near side banking. Once again, thanks to Machinery Row for providing the prizes this week. Please bring your number from last week! If you lost it, that's okay, but please keep your new number. Many thanks to our awesome sponsor, Machinery Row, for supplying the prizes this week.